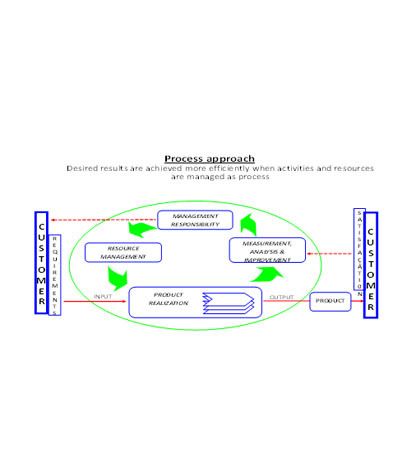 Our Quality Policy demonstrates commitment of top management towards effective quality management. Our committed is to providing high quality services coupled with effective management so as to provide outstanding transportation services that yield maximum customer delight. All our services are designed and built to meet our customer expectation and where possible exceed them. 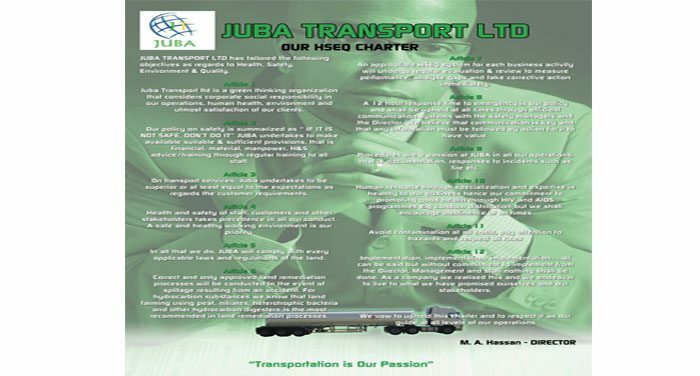 In order to meet that we a has tailored the following objectives as regard to Health, Safety, Environment and Quality. MATERIALS: Only trend leaders, certified conforming spares, components and raw materials shall be used at all process levels in our operations. HEALTH AND SAFETY: Our Health and Safety policy recognizes the importance of healthy workers and ensures that safety is embraced as a core ideology in whatever we do. As we work safely for our own sake, we also endeavor to ensure the safety of those around us. 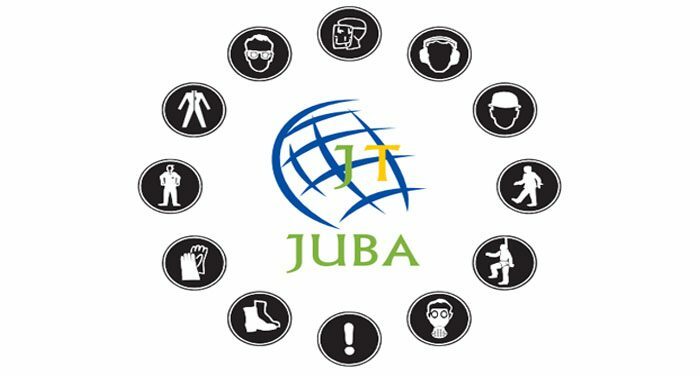 At Juba we say; “IF ITS NOT SAFE, DON’T DO IT”. ENVIRONMENTAL: We would like to think Of ourselves as a “green thinking organization”. The environment in Which We operate is not or degraded in any Way.